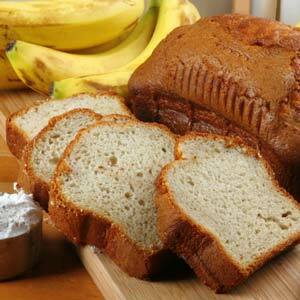 Now here’s your basic banana loaf recipe with a slight twist, spiced up with a little sugary spice. Beat the sugar, both lots of flour, baking powder and the eggs with the banana mash. Bake for approximately 50 Minutes or until a skewer comes out clean.